Blog Lovin' Loulouthi Pillow Tutorial and Marmalade Fabrics Giveaway! 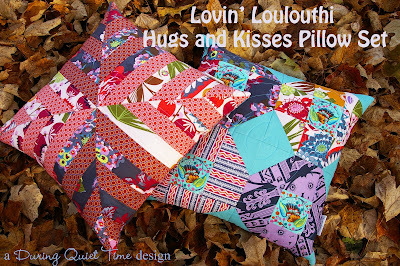 Lovin’ Loulouthi Pillow Tutorial and Marmalade Fabrics Giveaway! I’ve partnered with Tammy from Marmalade Fabrics to bring you a free tutorial for not one but two pillow covers plus a giveaway! Marmalade Fabrics will be selling kits for each of the pillows but two lucky winners will win one pillow kit each! My inspiration for designing these pillows was the Hugs and Kisses fabric pattern in the Loulouthi line by Anna Maria Horner (seen in the right in this photo with the Xs and Os). One pillow is generally based on an “X” design so I am calling that one Kisses. The other is made of four o’s, hence the name Hugs. Both pillows were made with prints from the Juliana colorway of Loulouthi. I think a lot of us have been scared away by the large scale patterns of this fabric line. I’ve heard a lot of people say that they need to be cut in big pieces and made into simple quilts in order to properly show them off. I think that is one way to work with them but I think that these pillow show that it isn’t the only way. I love, love, love it in strings. And I think that the “Curated Blooms” is perfect for fussy cutting into tiny squares (centermost fabric in the Hugs pillow). These pillows are backed in one of the larger scale prints, “Clippings in Passion,” which allows it to shine a bit. It’s the best of both worlds. Maybe you’d like to whip one up for a Christmas present? The Hugs pillow is beginner friendly. Each quadrant is simply pieced with squares and HST (half square triangles). The centers are fussy cut for a great effect. I chose to quilt in a circular pattern, beginning with a sort of half heart design in keeping with my theme. In addition to Loulouthi, this pillow includes a bit of Medium Aqua Essex Linen, a favorite of mine. The Kisses pillow is foundation pieced and best for a sewer with a little bit of experience. You will need to create 8 triangular paper templates through which you will stitch in order to piece each section of the pillow. It’s important to accurately piece in order to match all those seams along the hypotenuse of the triangles. This one is quilted with straight line quilting 1/4″ from the seams. The free tutorial for the Lovin’ Loulouthi Pillow Set is available as a pdf download right here. The tutorial includes directions to make both 18″ pillow covers and install an invisible zipper. If you’d like to order a kit from Tammy, pop over to her site and she will take great care of you. Her customer service is tops. You will have a hard time getting out of her shop without adding other items to your cart though; be forewarned. Now, who would like to win a kit? If you’d like to enter to win a free Lovin’ Loulouthi pillow kit, just leave a comment below and tell me which kit you’d like to try. For a second comment, let me know that you are a follower. 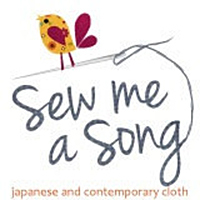 For a third comment, visit Marmalade Fabrics and tell me what fabric you love. 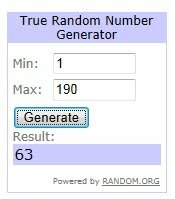 I will draw a lucky winner on Friday, November 18th. Mimi said in her previous comment that she liked both designs and couldn’t decide. I like that! Thanks Mimi. And when does this ever happen? 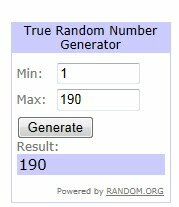 The second winner is 190 of 190! I will be in touch with both winners to collect your information and pass it on to Tammy.